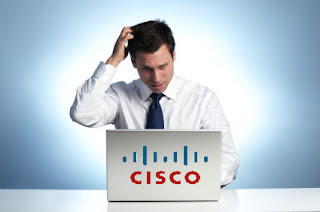 Home CCNA Cisco What is a Cisco Router IOS ? What is a Cisco Router IOS ? if you really want to configure a Cisco router or switch then it is important to know about Cisco Internetworking Operating System (IOS) so that you could be able to start accessing and then configuring a Cisco router or switch. the IOS is what runs Cisco routers as well as Cisco switches, and it's what allows you to configure the devices as well. The Cisco Internetworking Operating System (IOs) is the kernel of Cisco routers and most switches. "In case if you didn't know, a kernel is the basic, indispensable part of an operating system that allocates resources and manages things such as low level hardware interfaces and security". it is a Cisco proprietary kernel that provides routing, switching, Internetworking and telecommunication features. the first IOS was written by William yeaget in 1996, which enabled network applications. It runs of most Cisco routers as well as an ever increasing number of Cisco Catalyst switches, like catalyst 2950/2960 and 3550/3560 series switches. The Cisco IOS can be accessed through the console port of a router, from a modem into the Auxiliary (or Aux) port, or you can access it trough Telnet. Access to the IOS command line is called an EXEC session.